Save Face is accredited by the Professional Standards Authority. Pay £99 +VAT deposit and spread the cost over 3, 6, 9, or 12 interest free monthly payments. Enter your details below to view the cost of accreditation. Treatment providers who have multiple practitioners operating across several locations, please contact us for further information. If you are able to make the majority of your practitioners available for assessment in one location we are able to streamline our assessment process and offer economies of scale. The Professional Standards Authority are responsible for overseeing the 9 statutory bodies that regulate health and social care professionals in the UK and for accrediting registers of other health and care practitioners. As an Accredited Register, Save Face is now recognised by the Government, The Department of Health, NHS England, The Care Quality Commission and Health Education England. The prestigious quality mark means that that Save Face has met the Authority’s demanding standards in the following areas: governance, setting standards, education and training, managing the register, providing information and complaints handling. Being accredited means that Save Face has satisfied the Authority that it meets its high standards. It is a mark of quality. The PSA recommends that the public only use registers who have met their rigorous standards. It now means that aesthetic practice is now recognised as a healthcare service in the UK, which helps to distinguish the field from the wider beauty industry. Be becoming a PSA accredited register provides additional layers of credibility, confidence and assurance for both for the trained healthcare professionals who are listed on the register as a means to differentiate themselves and the patients who use the register to confidently navigate their way to a safe pair of hands. For Save Face members it means that they are now part of a register that is government approved which is the highest level of recognition available in the UK for registered healthcare practitioners who provide non-surgical cosmetic treatments. Being externally validated is becoming increasingly important as the number of unscrupulous practitioners continues to rise, targeting the public by claiming false qualifications and offering cut price treatments. Save Face was established in 2014 in response to the 2013 report By Professor Sir Bruce Keogh; Review of the Regulation of Cosmetic Interventions. The report set out a number of recommendations to improve the quality of care and safety levels for patients seeking to undergo treatments. Among its many recommendations, it called for a centralised register of non-surgical cosmetic practitioners who had been independently assessed and verified against a number of safety critical standards. The government made clear in their response to the report that they had no intention of introducing state regulation and instead placed the onus on the various stakeholders from within the industry to develop a suitable way forward. The government agreed to offer its full support to those who met the requirements. Save Face, in achieving PSA accreditation has not only become the first body to successfully implement the recommendations made by Keogh and HEE but has also delivered unity in a fragmented, complex industry sector which has previously been lacking, leaving the patient vulnerable and at risk. The register bridges the gap between those who are considering undergoing treatments and the practitioners who practice to the highest level of standards. Save Face calls to action all practitioners who provide a consumer centric service, that constantly seek to improve and invest in best practice. In doing so, you will set a precedent and establish a benchmark against which the consumer can, for the first time, distinguish you from those who are unqualified, unsafe and unethical. The public are dependent on practitioners like you, who can demonstrate all of the necessary attributes that are essential in order to provide safe treatments, using safe products, in safe environments in order to become accredited. This will enable them to make an educated and informed decision when selecting a treatment provider. Up until now, the consumer has been completely reliant on traditional means of advertising. Leaving them susceptible to unethical and bad practice, that will inevitably result in regret. The Save Face proposition extends far beyond a register, it is an opportunity to make a difference and safeguard those at the heart of your service. By becoming Save Face Accredited, you can form part of a revolutionary service. A service that will pioneer safer industry standards that drive continuous improvement and create a positive public and media perception of the industry as a whole. Once you have passed the assessment process and have become accredited, you will be listed on the Save Face website, which will connect you with a whole new audience of safety conscious consumers. Consumers can search and identify a practitioner with confidence based on the type of treatment they are looking for, the location, and then provide feedback by rating their experience. Save Face is committed to only connecting consumers with practitioners that are all regulated healthcare professionals who meet best practice standards. Our validation process extends far beyond a paper-based exercise; we are the only scheme to visit each and every one of our accredited practitioners. We measure and verify the application of the policies and procedures, which relate to both the practitioners and the environments that the treatments are administered. To do this, we only use nurses who have the clinical experience and training, to thoroughly assess every Save Face accredited practitioner and approved premises against the Save Face standards. The assessment process is transparent, consistent, impartial and objective. Prior to beginning the application process all registrants should have read and understood the Save Face Standards to ensure that they are suitable to progress. All practitioners and premises operators will need to complete the following two part process to become accredited. 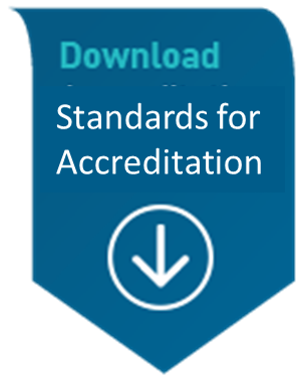 Click on the links below to access checklists of what is needed at each part of the accreditation process. An online profile on the Save Face website that will be accessible to consumers. Save Face Referral scheme which offers a 10% discount off your renewal fee EVERYTIME you refer a new practitioner/ clinic when they become Accredited – the more you refer the more you save. To find out more please contact us.